People often ask us 'what makes your suspension better than the competitors? 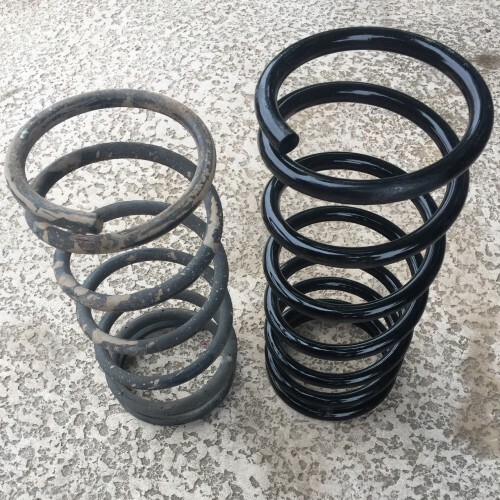 Well... we've ended up with these springs after years of using a number of the competitors for the wheeling we do, our trucks get a LOT of suspension cycling, most of our off-roading is either rolling washes, rubble roads, washboarded forest roads, rock gardens or straight up rock crawling. We need the most suspension travel possible. This is going outside of the normal suspension geometry, it's engineered for offroad use. 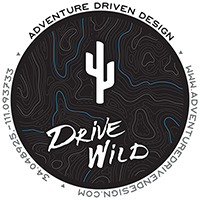 Our local crew is comprised of a number of engineers, fabricators, scientists and educated individuals that have some very impressive builds under their belts, together they've worked with us to specify the best suspension for our applications. Many of us daily drive our massive Montero's and require exceptional off-road performance while retaining on-road manners. 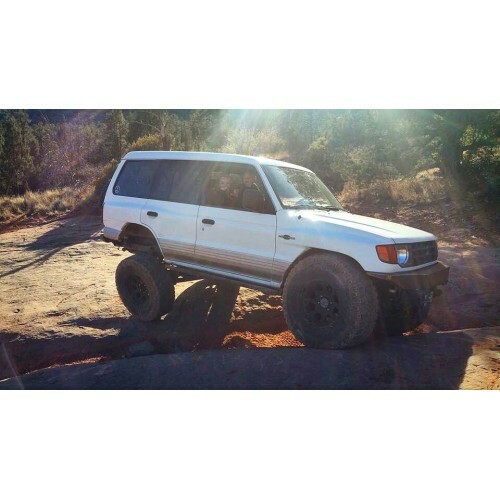 The AZ Crawler crew has been using, abusing and testing different suspension set ups on gnarly trails for over 15 years and these springs have serviced members of the AZ Crawler Crew for the better part of 10 years now. They were a little known secret, once only available to cool guys, requiring a group buy, now obtainable by the public in single pair orders. Coil springs are manufactured to order, never in stock and always drop shipped from our manufacture. All orders have a minimum 4 week lead time and can have a lead time up to 8 weeks.